That’s 8 people who are working on my house today. The builders are ripping up the decking around our pool and also building a new set of stairs so that our daughters can get to the backyard and their trampoline. The plumbers are moving a tap in the yard (at the builder’s request) and fixing some broken storm water pipes. The cleaners are (surprise surprise) cleaning the house. And the gardener is mowing the lawn and measuring our property because we want to plant some tall hedges along the back wall of our garden. So what? Am I telling you this to brag? No. It’s to share with you a key change in mindset I learned in 2008 that fundamentally changed how and where I spend my time. When I was getting started 15 years ago, my time was worth probably $50 per hour. Today it’s worth $5,000 per hour. If I invest 40 hours a week working, I expect to add at least $200,000 of FUTURE (asset) VALUE to my companies (40 hours per week @ $5,000 per hour). Note: I primarily build SaaS companies (such as BigCommerce) which are valued at 5–15x revenue, so for every $1 I add in revenue, it creates $5–15 in future equity value, of which I as a shareholder own a percentage of. There are currently 8 people working on my house. With some quick back of the napkin maths, I’m paying them an average of $45 per hour. For every 1 hour of time I save by NOT working on my house, I can work on my companies to create $5,000 of future asset value. So I spend $360 to make $5,000. That’s a 1,380% return on investment. Better than any other form of investment I’ve ever made. Now obviously when I was getting started, there was no way I had 8 people at the house. I had none. I mowed the lawn. I helped clean the house, etc. But as my second company (Interspire) started to take off, I realized I was spending way too much time on what I call “low value tasks”. At the time I was taking a salary of about $100,000, which valued my time quite literally at $48 per hour. All else being equal, if I could hire someone at less than $48 per hour to handle my low-value tasks, I would have more hours that I could invest in growing my business and therefore growing my net worth and moving towards my goals a lot faster. Read that last paragraph again. It’s critically important you understand this if you’re an entrepreneur who wants 1) total control over your time and 2) a company that will make you financially free within a few years. The big difference here is that I’m NOT trying to spend more TOTAL hours working. I’m looking to optimize my time so the hours I do spend working (about 40–50 hours most weeks) lead to higher-value output. So that’s exactly what I started to do. Slowly at first, but then as I saw results and started to get leverage, I delegated ALL of my low-value tasks between 2008 and 2011. Both at work and at home. 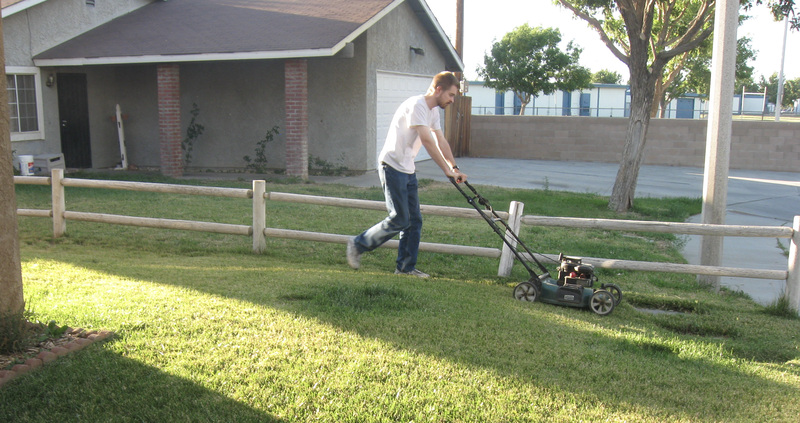 I started by hiring someone to mow the lawn for $50 per week. Then I got an executive assistant to handle my calendar, email replies, booking flights, dinner reservations, etc. I would NEVER spend my time doing anything that wouldn’t return at least a 10x ROI. That’s when everything shifted for me. I didn’t always stick to this promise, but I did most of the time. The more I did it, the easier it got. These are tasks that need to be done, no doubt, but once you realize you can hire someone to handle them for you — at a cost of $20-$50 per hour, you start to think differently about how you invest the only asset you can’t buy more of — your time. If yes, hire someone. If not, hire someone anyway. Soon your business will be growing much faster than it is now and you’ll be able to generate a positive ROI on the people you hire to handle your low-value tasks. EVERY successful entrepreneur I know has an army of people around them to handle anything and everything that doesn’t move them closer to their goals and vision. Why shouldn’t we model them and do the exact same thing? So my final advice is to start by doing this for just ONE activity (ideally one you hate doing) — such as mowing the lawn or handling your emails. Don’t overwhelm yourself and hire 5 people to handle your low-value tasks. Build up to it over time and as your business starts to generate more profit, bring on more people and start delegating more stuff. Being constantly busy isn’t a badge of honor (unless you’re truly working on what you love 90% of the time). It’s stupid and if it hasn’t already, it will start to impact other parts of your life. The key lesson is this — we all have just 24 hours in a day. And you should optimize your waking hours to spend as much time as possible doing the things you love, that make you happy and that you’re good at. Delegate your low-value tasks as much as you can, but start with baby steps. If you want to experience rapid growth in your business, build an enduring legacy and become the absolute best version of yourself, then you should check out my private mentoring group for founders. Click here to learn more.